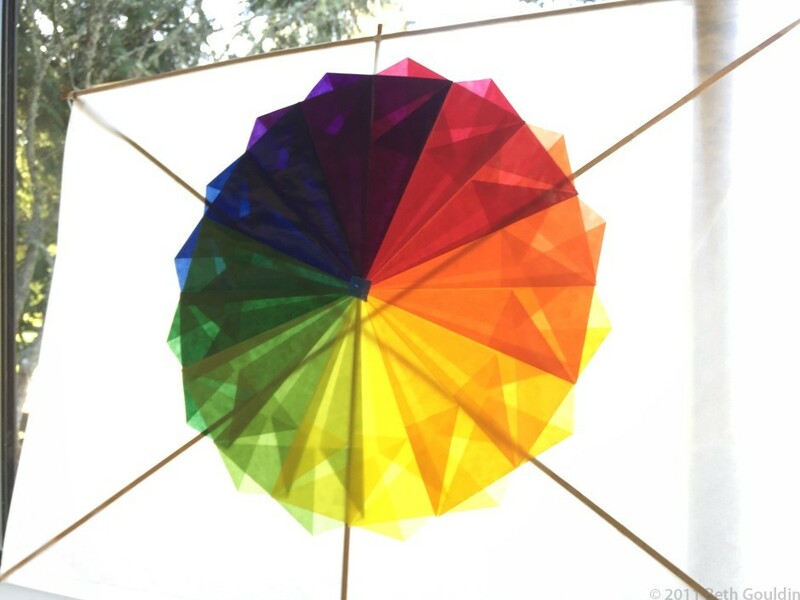 Galleries » Fort Worden Kitemaker's Conference class 2018 » Unique folding pattern backlit! The previous folding experiment assembled and on a kite! So beautiful and unique!